Open from 17th March until 31st October. Tours every day from 10am. Last tour 4.15pm every day except a Friday when last tour is 2pm. BRINGING YOUR VISIT TO LIFE! 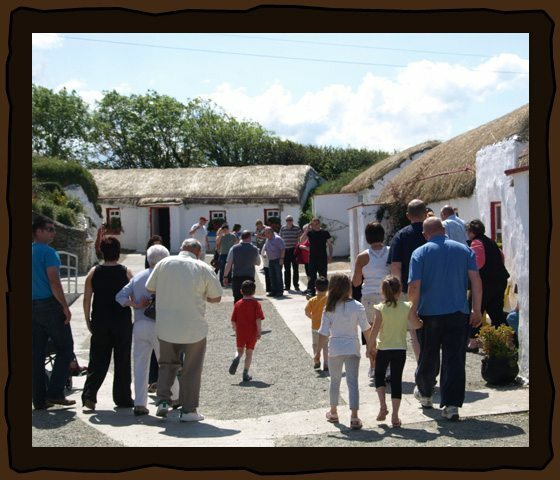 A guided tour around Doagh Famine Village with one of our experienced and knowledgeable guides brings the whole experience to life. Enjoy the craic, ask questions and learn what lies behind all the attractions and exhibits you will see during your visit. Our tour guides will take you on a journey showing how communities have lived on the edge generation after generation, adapting and surviving as the environment and society around them changes. A combination of informative story telling and life size exhibits provides an informative, thought-provoking and at time humorous look at Irish life. Guided tours last approximately 45 minutes and cost €9.50 per adult or €4 per child u16 with under 4s free. We have been working with large groups, coach tours and tour operators since we opened over 20 years ago and almost every day we welcome along a coach tour. Our visitor centre and museum can easily handle large numbers and we have guide books available in French, German, Dutch and Spanish for those visiting from abroad. Booking in advance is essential for large groups and coach parties. 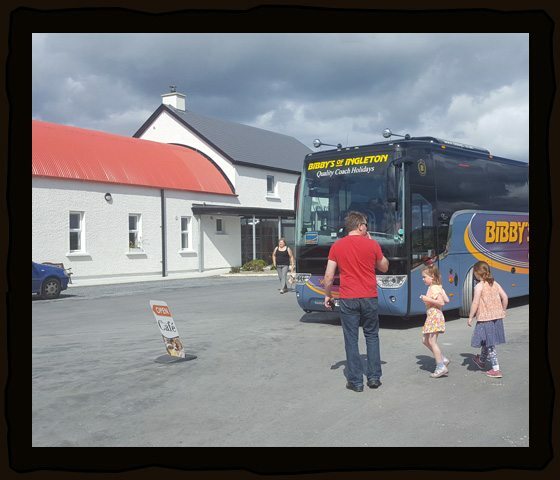 To book your group or coach party in for a tour please call us +353 (0) 7493 78078, 7 days per week from 10am until 6pm. Thank you for your co-operation in this respect, this will allow us to adequately cater for your group on the day. Doagh Famine Village is open from 17th March until 31st October, 7 days a week from 10am until 5pm. Last tour 4.15pm (except Friday, last tour 2pm).